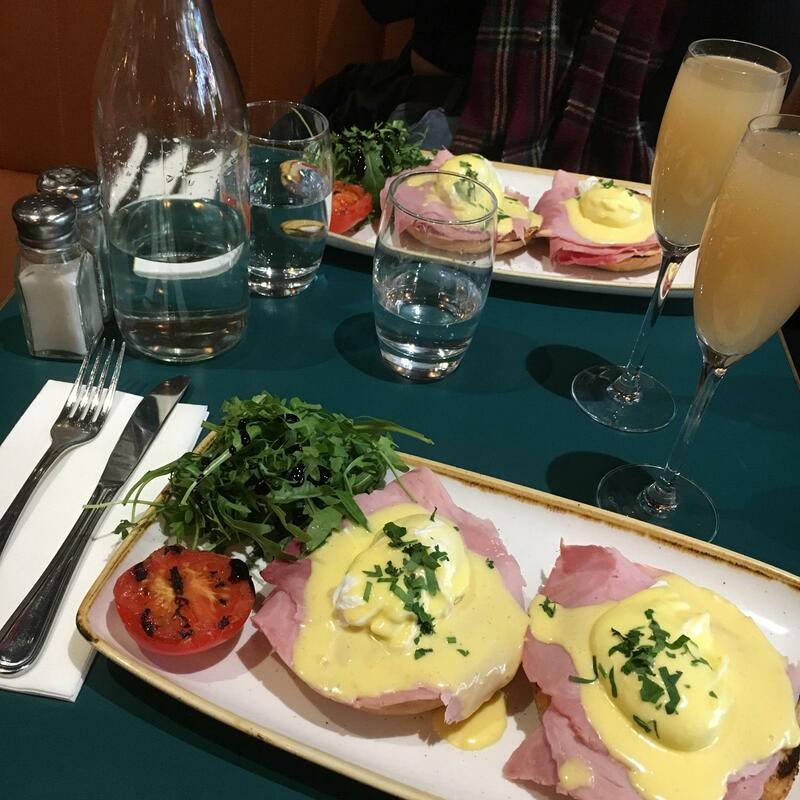 When searching for a place in Dublin to grab a tasty brunch, specifically one that does a mean eggs benedict, the restaurant prides itself in serving “the brunch of champions” seems like the obvious choice. San Lorenzo’s offers a Sunday brunch menu and a specific weekday brunch menu, with traditional dishes on offer as well as some unique dishes such as ‘Scallops al forno’ and ‘Coco pops crunchy french toast’. San Lorenzo’s is situated on South Great George’s Street, which means that is only a few minutes walk from Trinity College, DIT, Christ Church, Temple Bar and the Grafton street. Whether you’re planning on spending the day studying or shopping, the restaurant’s central location is the perfect excuse for popping in before either. On weekdays the restaurant is open for business from 11am, and as we were the first people in the door first thing on a Tuesday morning they weren’t exactly ‘out the door’ so to say. However, at the weekend it can be near impossible to get a table without a reservation. The atmosphere none the less was relaxed and the service was absolutely fantastic. Depending on what your budget is San Lorenzo’s can be a bit pricey, but for a great brunch the price is not the worst. Prices vary depending on what you order. An Eggs Benedict comes in at 12.50 and the Coco-pops French Toast costs €13.95, while the ‘Scallops al forno’ and ‘Char-grilled 8oz Irish black Angus striploin’ both costing €21.95. Overall the brunch in San Lorenzo’s is top notch. If your searching for a spot in the city to grab a delicious bite to eat, catch up with a friend or have an early morning date then San Lorenzo’s will not disappoint.